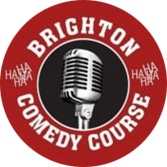 The beginners comedy course was one of the most challenging, but rewarding experiences of my life. It was a great opportunity to write and then perform your material in a non-judgemental and supportive environment, but also have it critiqued. Louise is a great teacher and thanks to her years of experience on the comedy circuit, she will provide you with endless invaluable advice for kick-starting your comedy career.